Dorion-Gray Capital Management® For the week of May 21, 2018 | Dorion-Gray Retirement Planning, Inc.
Stocks closed mixed on Friday as investors wrestled with uncertain trade negotiations between China and the U.S. and bond yields reached their highest level since 2011. The Dow was the only major index to finish in the black on Friday. For the week, the Dow fell 0.36 percent to close at 24,715.09. The S&P lost 0.47 percent to finish at 2,712.97, and the NASDAQ dropped 0.66 percent to end the week at 7,354.34. Nervous Folks – Only 37 percent of American adults under the age of 35 are invested in the stock market today, down from 55 percent in 2002 (source: Gallup). Borrow – The Treasury Department auctioned off $17 billion of 30-year bonds with a 3.125 percent coupon on Thursday, May 10. The new bonds mature on May 15, 2048. The government has auctioned off 30-year bonds since 1977. The lowest yield ever on 30-year paper was 2.1 percent on July 8, 2016 (source: Treasury Department, BTN Research). Rare - Only six months in the last 40 years have produced an unemployment rate of 3.9 percent or less, including the April 2018 jobless rate of 3.9 percent. Six months out of 40 years represents just 1.25 percent of the months over the four decades or equal to one out of every 80 months (source: Department of Labor, BTN Research). According to some market analysts, those considering retiring this year may want to hold off due to sequence of returns risk. If you’re not familiar with this term, it means performance in the years directly preceding and following retirement can have a dramatic effect on financial security throughout retirement. At this time, investors typically have the most money in play – and more to lose. (Compare 20 percent drops in a 35-year-old’s $50,000 portfolio and a 65-year-old’s $1,000,000 portfolio.) Such a drop in a pre- or new retiree’s portfolio means less assets to grow throughout their remaining retirement. Plus, they have fewer years to recover losses and are likely withdrawing funds at the same time. Current market conditions may amplify these risks. Although stocks dropped last week, stock valuations were near record highs recently while bond yields were historically low. On average, bear markets occur every four years. Our last bear ended in March of 2009, so we’re overdue. It’s probably not a question of if we’ll see a plunge – but rather when and for how long. Even in early retirement, a brief bear market may not be too damaging. An extended one could be a different story. When approaching an imminent retirement, it’s best to plan for the worst and hope for the best with steps to reduce sequence of returns risk. In a market that’s due to drop, consider postponing retirement or working part-time. If stocks do drop, continuing to work could delay withdrawals to give your nest egg a chance to rebound or allow you to purchase additional shares. 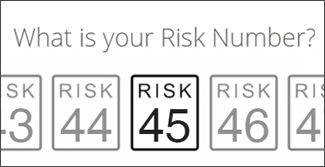 Decrease risks by diversifying your portfolio with a combination of stocks, bonds, annuities and life insurance. Within the equities portion, avoid over-concentration. Some advisors say no single stock should make up more than five percent of a portfolio. Invest across sectors and markets, nationally and internationally. Mutual or exchange-traded funds make it easy to buy a variety of stocks with lower overall cost. Rebalance your portfolio when stocks rise to keep investment percentages proportionate. Avoid selling at a loss to cover living expenses in a down market by segmenting your investments, keeping an adequate portion liquid. A traditional rule recommends subtracting your age from 100 to find the right percentage of stocks. With today’s longer life expectancies, some suggest subtracting from 110 or 120. Whether you’re already retired, approaching retirement or viewing it from afar, we can help you create a strategy to help you safeguard your future. Securities offered through Securities America, Inc., Member FINRA/SIPC. Advisory services offered through Securities America Advisors, Inc. a Registered Investment Advisory Firm. Dorion-Gray Retirement Planning is a trade name of Dorion-Gray Financial Services, Inc. located at 2602 IL Route 176, Crystal Lake, IL 60014. 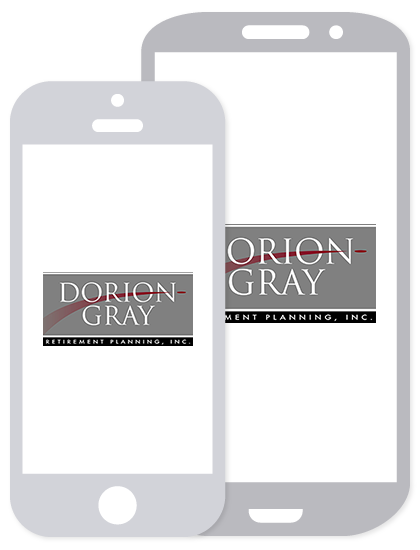 Dorion-Gray and the Securities America companies are separate, unaffiliated entities. Diversification seeks to reduce the volatility of a portfolio by investing in a variety of asset classes. Neither asset allocation nor diversification guarantee against market loss or greater or more consistent returns. © 2018. Dorion-Gray Financial Services, Inc.
Dorion Gray is currently accepting Advisor and Advisor Associates applications for their Crystal Lake office. Securities offered through Securities America, Inc. Member FINRA & SIPC. Advisory services offered through Securities America Advisors, Inc.
Dorion-Gray Retirement Planning, Inc. is not affiliated with Securities America companies.